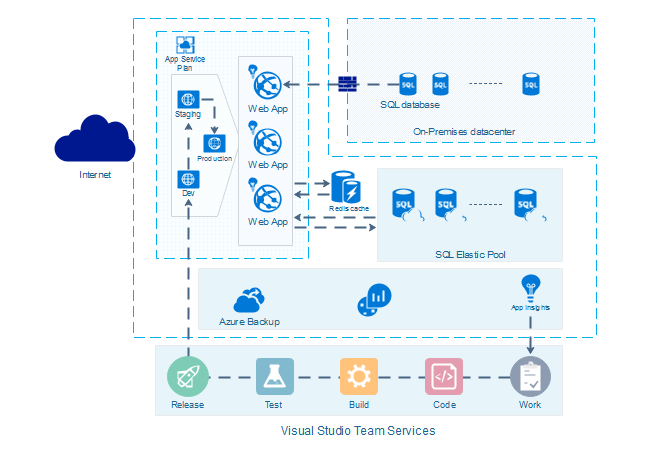 Description: Here is an Azure diagram example for visual studio team services. This example can be modified and edited as a foundation of your customized diagram. Massive free Azure Diagram templates are available for reference.